If you publish content, no one needs to tell you how the world is dramatically changing with mobile, social and other emerging dynamics. These factors are constantly changing how people find your content. Even for digital-first media companies, publishers have used a traditional print media mindset and have not realized the full potential of their digitized content – especially when it comes to organic search. Kevin Novak, Subscription Insider’s Guide to Leveraging Technology and CEO of 2040 Digital, should know. Kevin works with leading B2B and B2C publishing companies to help them create or optimize their digital strategies. In his view, only a small percentage of publishers are correctly using the correct tools and editorial, circulation and marketing processes to ensure a publisher’s content is getting viewed organically, driving readers deeper into a media property, and supporting revenue creation. In this how-to series, Kevin teaches organic search for companies focused on publishing content. This is a detailed instruction for anyone producing content, editorial teams, marketing teams, circulation teams, and those who manage them designed to help you and your publishing organization develop and implement an effective organic search strategy. In part two of Organic Search for Publishers, Kevin Novak walks through why segmentation of your subscribers (and prospects) and talking to them in their own voice are so important to an effective organic search strategy. 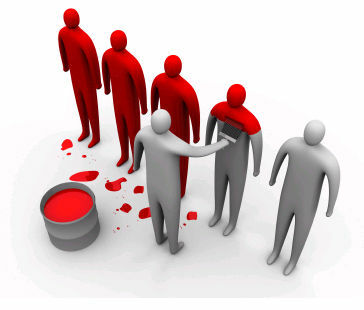 In Organic Search for Publishers: Why Segmentation and Voice are Important, you will learn how and why it’s imperative to get beyond internal thinking with its traditional spray and pray approaches that create false target segments and leads to expending resources on content development that doesn’t resonate with core customers. In addition, you will gain the understanding of why looking externally to understand the vocabulary, personality types, and nuances of how each customer segment communicates and finds information will be a key cornerstone to your organic search program that produces results. In the last two sections of Organic Search for Publishers, Kevin Novak outlined important ways people find content via organic search. In part three, Kevin continues this theme but specifically educates members on keywords and why they are important. As Kevin explains, smart editorial organizations understand how their users are finding them through longer and longer search queries and leveraging this information to create more traction with their SEO efforts and other marketing programs. Kevin Novak continues his discussion on how to implement an effective SEO strategy. In part five of Organic Search for Publishers, he discusses the big mistake publishers make in their metadata, walks through how to choose the right long- and short-tail keywords for your business, shows examples of how a publisher should use keyword discovery tools and his favorite keyword discovery tools that publishers should use. Kevin Novak continues his discussion on how to implement an effective SEO strategy. In part six of Organic Search for Publishers, he explains and demonstrates the tools every editorial, marketing, and audience development team should use when determining what keywords will be used as part of their organic search strategy. Kevin Novak continues his discussion on how to implement an effective SEO strategy. 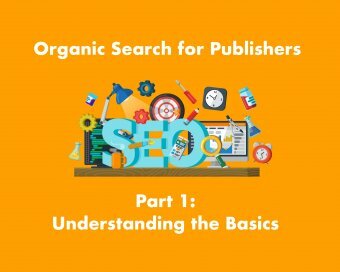 In part seven of Organic Search for Publishers, he explains where and how to use the keywords and phrases that are important for your business in your content and meta information. Kevin also goes deeper and explains what structured metadata is as well as why and how you should be leveraging that in your publication to more effectively communicate and provide context about your content for search engines. In the last part of our series, Kevin Novak explains how to create a system for and optimizing your organic search program across editorial, audience development and other teams in your publishing organization.